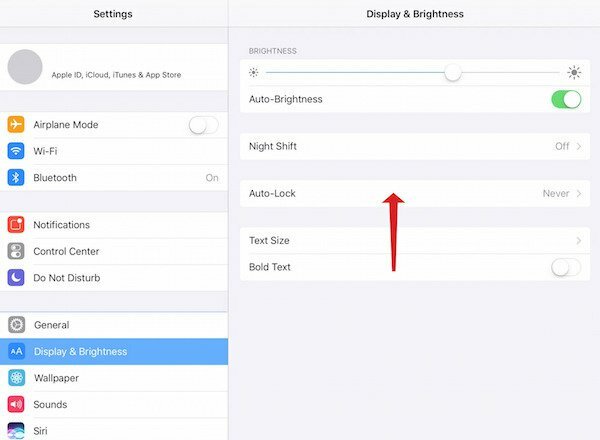 ● Tap Settings on the iPad’s home screen. ● Turn on Wi-Fi by tapping the toggle switch, so it’s green. A list of Wi-Fi networks in range will appear. 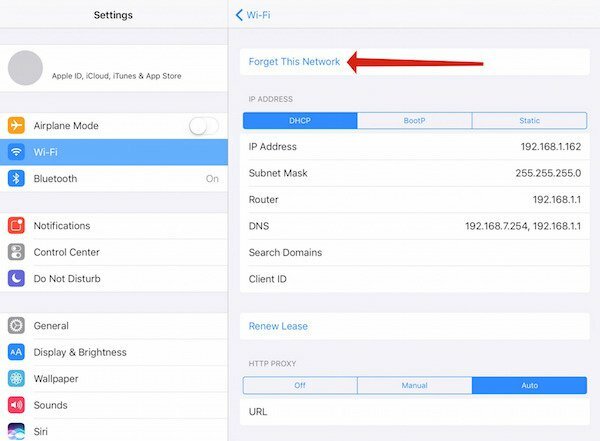 At the bottom of the network list turn off “Ask to Join Networks.” This will prevent the iPad from attempting to connect to the wrong network if it temporarily loses connection. You may have to scroll down to see it if there are a lot of networks listed. 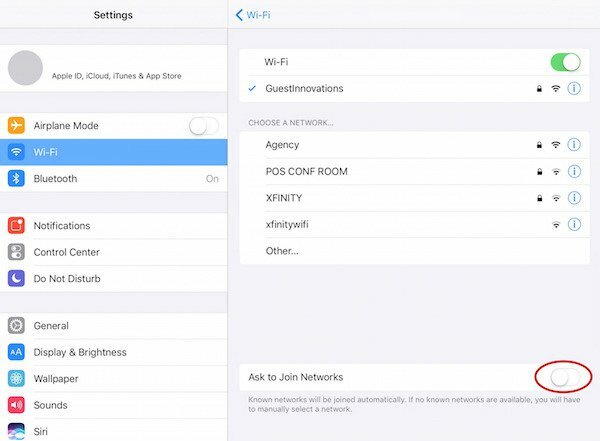 If your iPad is already connected to a network, tap on the name to enter the network settings. ● Tap Forget This Network on the top of the screen. This is important because if the tablet goes offline and re-connects to the wrong network, it will cause problems. ● Tap the correct network in the list, and enter the password. 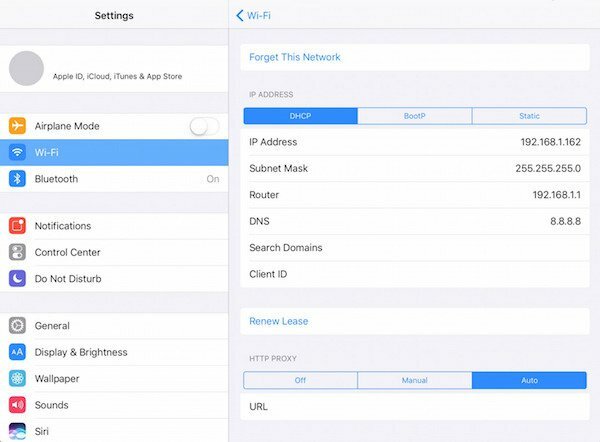 When you are connected to the correct network, tap the network name to enter settings. ● Change HTTP PROXY to Auto. We can also change the DNS settings to a better, faster, more reliable DNS server. Tap on DNS. The keyboard will pop up, and you can delete the numbers that are currently set. Here is how your settings should look when you’re finished. 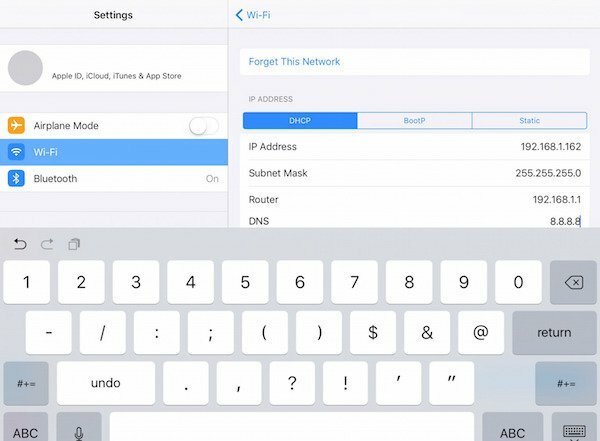 ● Press the HOME button on the iPad to return to exit network settings and return to the home screen. 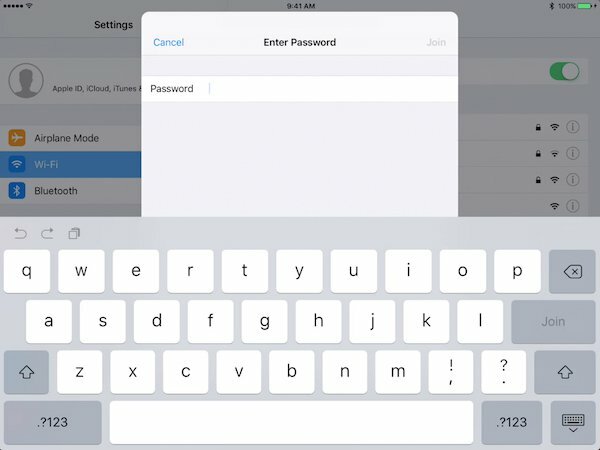 When using your iPad, it’s important to keep it from locking and having to re-enter the iPad’s PIN number all the time. 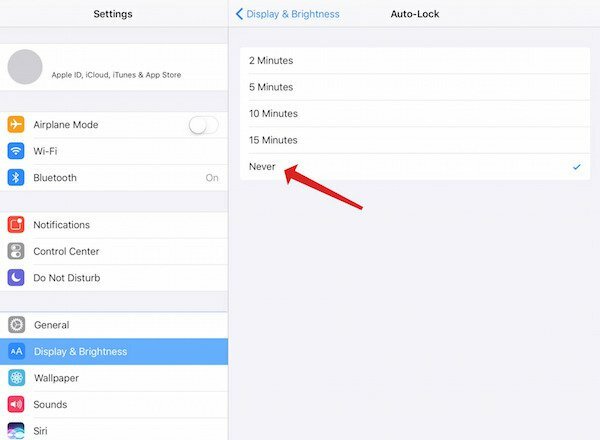 These settings keep the iPad from locking when going to sleep. 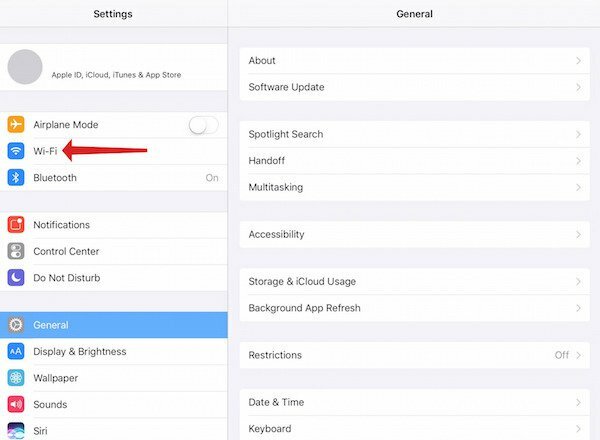 ● Go to Settings on the iPad home screen. ● Change interval to Never. 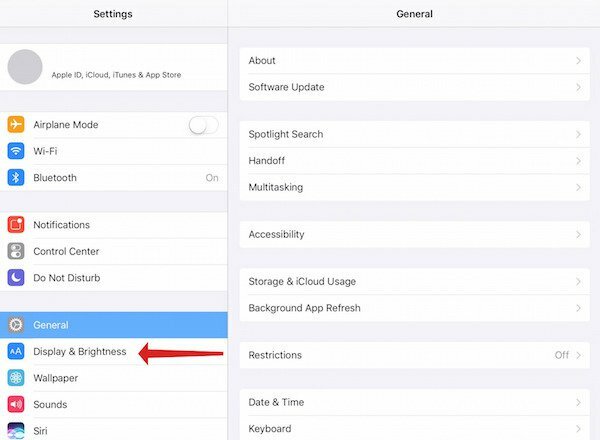 ● Exit Settings by pressing the HOME button on the iPad. 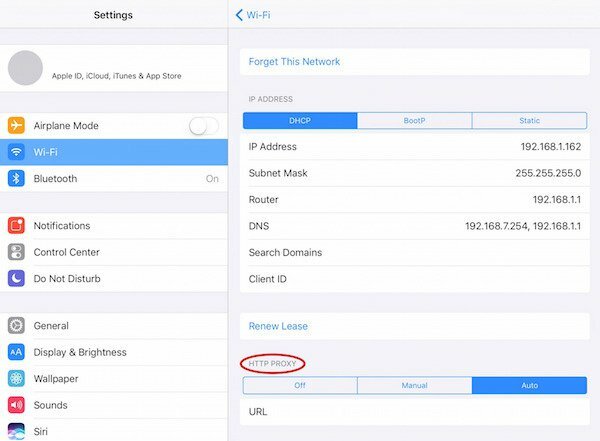 ● NOTE: The iPad will still lock (and require the password) if you press the lock button on the iPad to turn off the screen, but it will not lock when the screen turns off on its own.